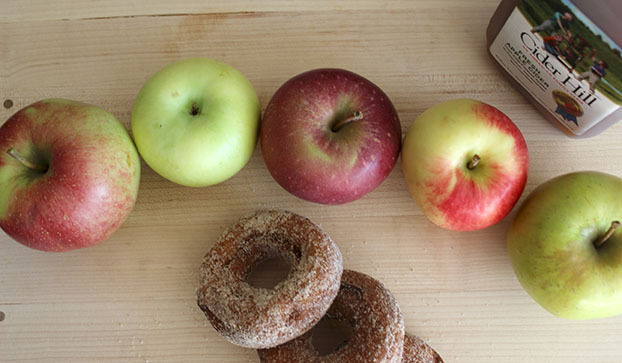 You probably don’t need me to tell you it’s apple season. Apples are my favorite; they probably account for the largest single food item in my diet (followed closely by ice cream). An apple at breakfast, lunch, and as an afternoon or bedtime snack; and I can easily consume 3 or 4 a day. I remember the time in highschool when I first discovered pink lady apples. 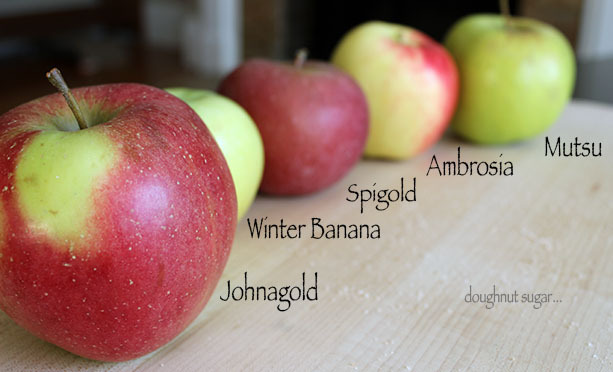 How exciting to branch away from the usual, sometimes mealy, often times bland grocery store subjects: fuji, gala, braeburn, golden delicious (I never stooped so low as red delicious or granny smith). For a while the Pink Lady (also called Cripps Pink) was my go-to favorite grocery store apple, but in the past several years I’ve noticed an increase in the variety of apples available year round (Jazz, Ambrosia, Pacific Rose, and Envy* are some of my new favorites). Maybe due to better shipping practices or consumer interest, and definitely due to opposite growing seasons in other big apple producing countries like New Zealand and Australia, I find there’s only a few short months in summer when the apple season at the supermarket lags. Despite the new-found variety available on grocery store shelves, if you are lucky enough to live in a good apple-growing state there’s no better time for apples than right now. For me, it’s a bittersweet season. Every fall in Minnesota, I looked forward to the weekend my dad decided to pile us all in the Eurovan and drive us down through Redwing along the bluffs of the Mississippi to Lake City: destination Pepin Heights. It’s an unassuming. white clapboard shack that belies it’s prominence in the apple industry. We’d pick up several pecks of apples; at least a gallon of dark, spicy cider; a couple cases of sparkling cider; and some caramel apples and string cheese for the road home where my dad would serve hot apple crisp with whipped cream in lieu of dinner. My first year of grad school I drove out to Gay’s Mills, WI for their fall apple harvest; but the watery, flavorless specimens I found there made the 4-hour fall pilgrimage back to Pepin Heights every subsequent season a no-brainer. Now that Mr. R and I have relocated to the East Coast, Pepin Heights is sadly a much longer 20 hr drive away. Thankfully, Massachusetts has a few good orchards to help ease the pain. 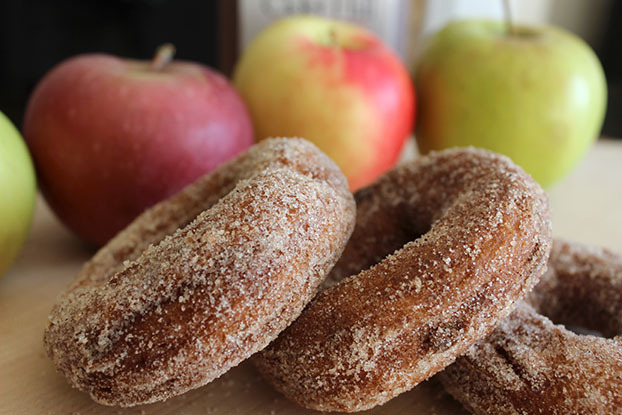 Mr. R’s favorite specimen is Russell Orchards in Ipswich for their excellent cider donuts, while I opt for Cider Hill Farms further north in Amesbury for their larger selection of apple varieties (and the healthy dose of cinnamon sugar on their cider donuts. Russell prefers to serve theirs bare). This past weekend there were over a dozen varieties to choose from in the Cider Hill farm store (less are available as PYO). While I still pine for some of my favorite MN varieties including Sweet 16, Fireside, Sweet Tango (#findthisapple #eatit #betterthanhoneycrisp, #MNpride) and the excellent baking Haralson; Cider hill goes beyond the overly popular Macintosh and Cortlands*** and keeps me appeased with varieties like Mutsu and Arkansas Black that I rarely saw in the Midwest. For those of you who like your apples baked with sugar and cinnamon, I highly recommend using some of your post-orchard haul for the classic apple crisp recipe from King Arthur Flour (serve with whipped cream or ice cream. Mr. R recommends pumpkin, while cinnamon or vanilla would be more standard.) 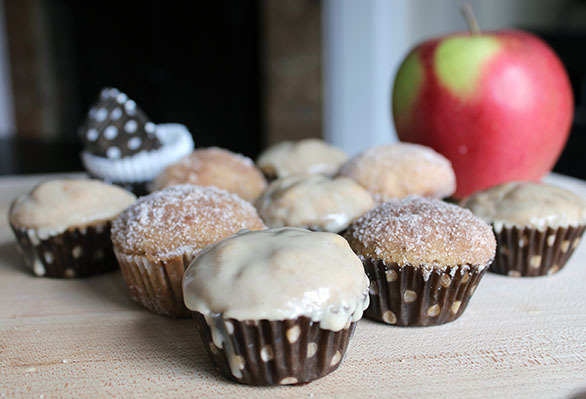 If you’re like me and prefer to keep your apples for fresh eating, try the mini apple cider doughnut muffins. 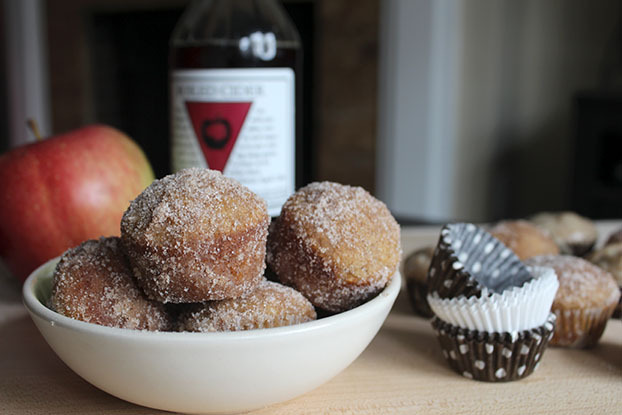 I fell upon the recipe while doing some of my own cider doughnut muffin development. 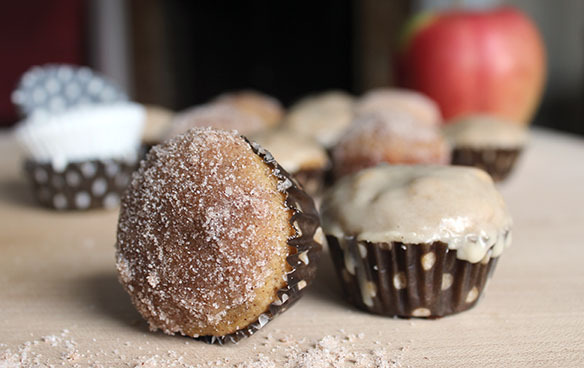 It’s a little too fluffy and lacking the crunchy crust I’m looking for, but since sampling four different test batches of butter and sugar dredged doughnut muffins turned into my lunch this afternoon, I’ll refer you to Serious Eats while I keep working on my own perfect specimen. *A New Zealand variety that I discovered at a specialty produce store in Madison a couple years ago. They aren’t super common yet, so I stock up when I see them. Available March – April. *** I just don’t get these apples which are super popular and abundant on the East Coast. Soft and pretty bland, they don’t require much in the way of teeth to eat. I’m sorry to everyone who loves these, but I just find them awfully boring. One Response to "Take me out to the orchard!" It is the sparkling cider that was discontinued. What a great shame it is not to have Pepin Heights Sparkling Apple Cider! I dislike hot cider, or cold for that matter, but that sparkling cider was soooooo very good.